The Smarter Sentencing Act is narrowly tailored to address one of the most pressing problems with mandatory minimums — arbitrary, severe punishments for nonviolent offenses— while leaving for another day the question of whether mandatory minimums should apply to violent crimes…. Mandatory minimum sentences have wrought terrible injustices in certain cases. Granting district courts some additional limited sentencing discretion would improve the status quo without returning us to the era of unbounded judicial discretion. It’s encouraging that, at a time when bipartisan consensus is difficult to come by, there is broad agreement that there are some problems with our federal criminal laws that ought to be addressed. Too many mandatory minimums for nonviolent drug offenses committed by low-level offenders do not serve the ends of justice and leave no room for mercy. 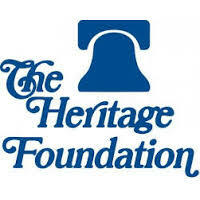 I am hopeful, based in part on the calls for reform represented by the votes and voices of Senators Ted Cruz, Mike Lee and Rand Paul, that a number of other groups and media with a mission “to formulate and promote conservative public policies” will also be vocal supporters of the Smarter Sentencing Act. If other prominent conservative groups echo the sentiments expressed above, my optimism about serious sentencing reforms being passed through this Congress may start to grow considerably. WE ARE speaking of a plague that consumes an estimated $75 billion per year of public money, exacts an estimated $70 billion a year from consumers, is responsible for nearly 50 per cent of the million Americans who are today in jail, occupies an estimated 50 per cent of the trial time of our judiciary, and takes the time of 400,000 policemen — yet a plague for which no cure is at hand, nor in prospect. Perhaps you, ladies and gentlemen of the Bar, will understand it if I chronicle my own itinerary on the subject of drugs and public policy. When I ran for mayor of New York, the political race was jocular, but the thought given to municipal problems was entirely serious, and in my paper on drugs and in my post-election book I advocated their continued embargo, but on unusual grounds. I had read — and I think the evidence continues to affirm it — that drug-taking is a gregarious activity. What this means, I said, is that an addict is in pursuit of company and therefore attempts to entice others to share with him his habit. Under the circumstances, I said, it can reasonably be held that drug-taking is a contagious disease and, accordingly, subject to the conventional restrictions employed to shield the innocent from Typhoid Mary. Some sport was made of my position by libertarians, including Professor Milton Friedman, who asked whether the police might legitimately be summoned if it were established that keeping company with me was a contagious activity. A YEAR or so ago I thought to calculate a ratio, however roughly arrived at, toward the elaboration of which I would need to place a dollar figure on deprivations that do not lend themselves to quantification. Yet the law, lacking any other recourse, every day countenances such quantifications, as when asking a jury to put a dollar figure on the damage done by the loss of a plaintiff’s right arm, amputated by defective machinery at the factory. My enterprise became allegorical in character — I couldn’t do the arithmetic — but the model, I think, proves useful in sharpening perspectives. Professor Steven Duke of Yale Law School, in his valuable book, America’s Longest War: Rethinking Our Tragic Crusade against Drugs, and scholarly essay, “Drug Prohibition: An Unnatural Disaster,” reminds us that it isn’t the use of illegal drugs that we have any business complaining about, it is the abuse of such drugs. It is acknowledged that tens of millions of Americans (I have seen the figure 85 million) have at one time or another consumed, or exposed themselves to, an illegal drug. But the estimate authorized by the federal agency charged with such explorations is that there are not more than 1 million regular cocaine users, defined as those who have used the drug at least once in the preceding week. There are (again, an informed estimate) 5 million Americans who regularly use marijuana; and again, an estimated 70 million who once upon a time, or even twice upon a time, inhaled marijuana. From the above we reasonably deduce that Americans who abuse a drug, here defined as Americans who become addicted to it or even habituated to it, are a very small percentage of those who have experimented with a drug, or who continue to use a drug without any observable distraction in their lives or careers. About such users one might say that they are the equivalent of those Americans who drink liquor but do not become alcoholics, or those Americans who smoke cigarettes but do not suffer a shortened lifespan as a result. Curiosity naturally flows to ask, next, How many users of illegal drugs in fact die from the use of them? The answer is complicated in part because marijuana finds itself lumped together with cocaine and heroin, and nobody has ever been found dead from marijuana. The question of deaths from cocaine is complicated by the factor of impurity. It would not be useful to draw any conclusions about alcohol consumption, for instance, by observing that, in 1931, one thousand Americans died from alcohol consumption if it happened that half of those deaths, or more than half, were the result of drinking alcohol with toxic ingredients extrinsic to the drug as conventionally used. When alcohol was illegal, the consumer could never know whether he had been given relatively harmless alcohol to drink — such alcoholic beverages as we find today in the liquor store — or whether the bootlegger had come up with paralyzing rotgut. By the same token, purchasers of illegal cocaine and heroin cannot know whether they are consuming a drug that would qualify for regulated consumption after clinical analysis. My mind turned, then, to auxiliary expenses — auxiliary pains, if you wish. The crime rate, whatever one made of its modest curtsy last year toward diminution, continues its secular rise. 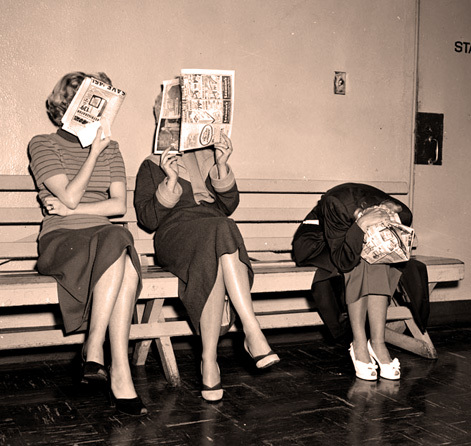 Serious crime is 480 per cent higher than in 1965. The correlation is not absolute, but it is suggestive: crime is reduced by the number of available enforcers of law and order, namely policemen. The heralded new crime legislation, passed last year and acclaimed by President Clinton, provides for 100,000 extra policemen, even if only for a limited amount of time. But 400,000 policemen would be freed to pursue criminals engaged in activity other than the sale and distribution of drugs if such sale and distribution, at a price at which there was no profit, were to be done by, say, a federal drugstore. So then we attempt to put a value on the goods stolen by addicts. The figure arrived at by Professor Duke is $10 billion. But we need to add to this pain of stolen property, surely, the extra-material pain suffered by victims of robbers. If someone breaks into your house at night, perhaps holding you at gunpoint while taking your money and your jewelry and whatever, it is reasonable to assign a higher “cost” to the episode than the commercial value of the stolen money and jewelry. If we were modest, we might reasonably, however arbitrarily, put at $1,000 the “value” of the victim’s pain. But then the hurt, the psychological trauma, might be evaluated by a jury at ten times, or one hundred times, that sum. But we must consider other factors, not readily quantifiable, but no less tangible. Fifty years ago, to walk at night across Central Park was no more adventurous than to walk down Fifth Avenue. But walking across the park is no longer done, save by the kind of people who climb the Matterhorn. Is it fair to put a value on a lost amenity? If the Metropolitan Museum were to close, mightn’t we, without fear of distortion, judge that we had been deprived of something valuable? What value might we assign to confidence that, at night, one can sleep without fear of intrusion by criminals seeking money or goods exchangeable for drugs? I have not spoken of the cost to our society of the astonishing legal weapons available now to policemen and prosecutors; of the penalty of forfeiture of one’s home and property for violation of laws which, though designed to advance the war against drugs, could legally be used — I am told by learned counsel — as penalties for the neglect of one’s pets. I leave it at this, that it is outrageous to live in a society whose laws tolerate sending young people to life in prison because they grew, or distributed, a dozen ounces of marijuana. I would hope that the good offices of your vital profession would mobilize at least to protest such excesses of wartime zeal, the legal equivalent of a My Lai massacre. And perhaps proceed to recommend the legalization of the sale of most drugs, except to minors. 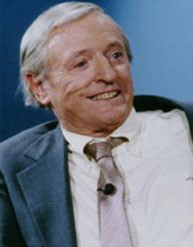 Bermandrugsmandatory minimumsSentencingWilliam F. Buckley Jr.